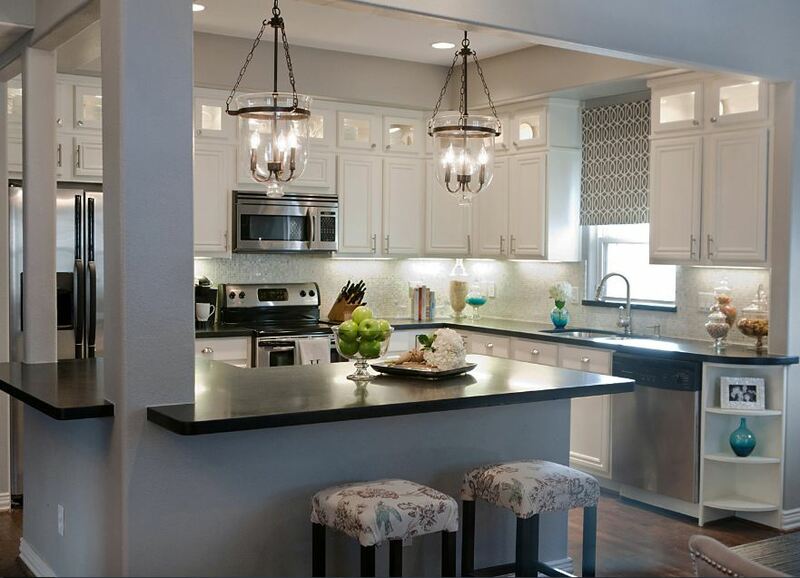 We all dream of having the stylish Kitchen we see on Pinterest or in the magazines, right? But most of us don’t have that luxury. Nor do we have the budget. 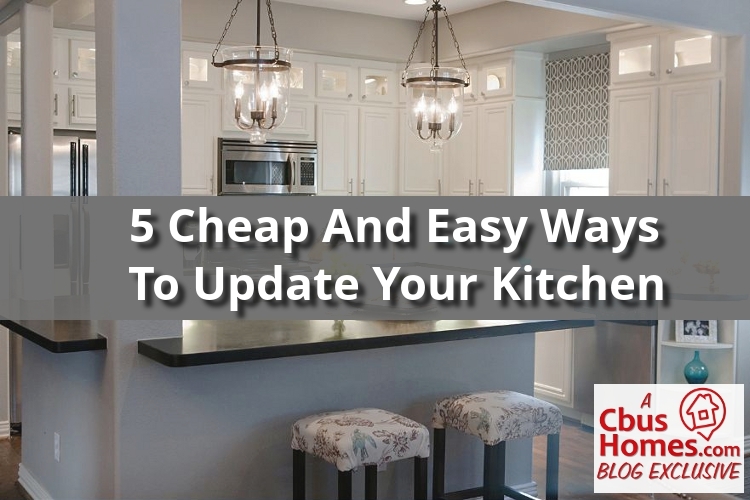 But what if you wanted to change the entire look of your kitchen really inexpensively? Like this weekend? In my last post, I wrote about how I transformed my kitchen for about $500. 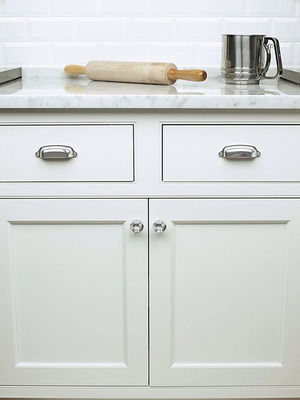 By far, one of the quickest and easiest ways to update your kitchen and change it’s appearance immediately, for the better, is to add new hardware (knobs and pulls) to the cabinet doors and pulls. Feel free to check out the big box stores (Home Depot or Lowe’s) to see what options they have, but I’ve found great hardware for less than half the cost on eBay. Bright kitchens feel bigger and cleaner (and let’s not kid ourselves, they’re more trendy, too), so making sure that your lighting inside the kitchen is on-point is extremely important. And thankfully, it’s affordable. For those of us with kitchens where installing or replacing pendant style lights is an option, get some inspiration and update those bad boys. Just have a dated overhead flush-mount light in your kitchen? Make sure it’s updated. You can get a cheap flush mount light for about $10 at Home Depot or Lowe’s. Do that at minimum. (Same goes for all your hall lights in your house, too). Or, take a little extra time and search in stores and online for the perfect option. 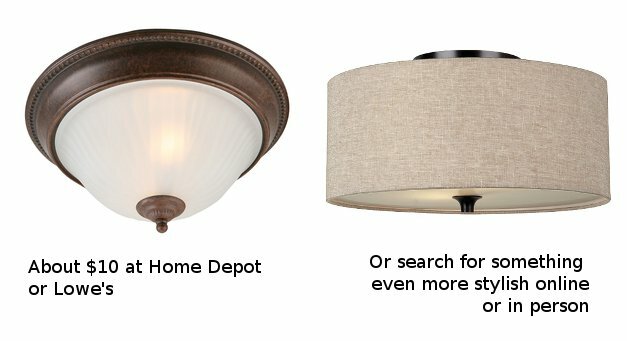 Search google or wayfair or amazon or overstock for “light fixtures” or “flush mount light fixtures.” And do the same thing for the light above your sink as well. 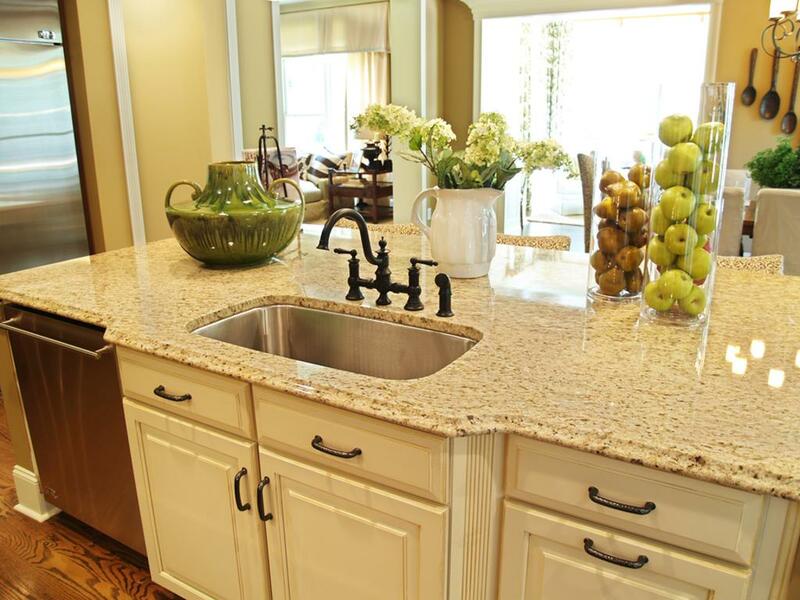 Adding new backsplash to your kitchen is another update you can do inexpensively which will have an immediate impact on the look of your kitchen. What’s trending right now? Subway tiles are popular. So are the smaller horizontal stone or glass tiles that Home Depot or Lowe’ssell in prefabricated sheets. Those sheets make it very easy to install (yes, you can do it!) in a short period of time and with little mess. A word of warning: Do not opt for a “loud” or “obnoxious” tile, even if you like it. Stick to classic options like toned down neutrals: tan, light gray, etc. New flooring can obviously go a long way in updating any room. 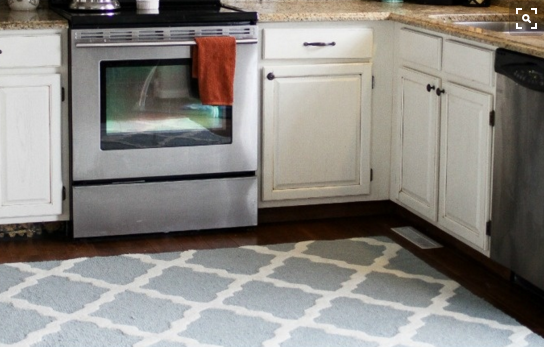 But if your budget doesn’t allow for new wood floors in your kitchen, or if you’re looking for a way to add some subtle, stylish color to your kitchen, look into adding a simple area rug to the space. Check out overstock or wayfair for “area rugs” and be sure to look at a rug that will fill the space without being too big. One thing to remember, this is the kitchen, so no matter how hard you promise yourself you’ll try to keep spills off of it, it is bound to get at least a little dirty. Look into colors that would help hide light wear and tear as well as little splatters from time to time. A cream or ultra-light colored rug would almost be impossible in the kitchen. Trust me. This is a two-step item. Step one… Clear almost everything off your kitchen counters. If you don’t use it every single day, or at least 4-5 times per week, take it off your counter top and put it in a cabinet or the pantry. Step two… get some inspiration online and make a trip to somewhere like Home Goods or Marshall’s or TJ Maxx, and pick up 2 or 3 (at the most) items that you think, “Oh, I could see that in a magazine.” If it doesn’t fit or work in your kitchen, return it. But add a little color and style this way. The rest of the kitchen (other than the area rug if you have one) should be fairly neutral in color. Okay, here’s a bonus item. 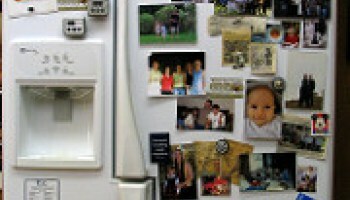 If your refrigerator is covered with pictures or notes or magnets or whatever… STOP IT! Stop it right now! Take it all off. If you’re going to have any pictures or magnets or anything on your fridge, make sure it is VERY minimal, and make sure it’s only on the side of your fridge. Your refrigerator is not a photo album or your day planner. You’re welcome, America.